Galina Jitlina is a professional guitarist and guitar teacher with a Baccalaureate, honors, in classical guitar from the Mussorgsky College of Music in St. Petersburg, and is currently trained up to Book 4 in the Suzuki method. She has over 40 years teaching and performing experience. Galina was born in the cultural capital of Russia, the city of St. Petersburg. Inspired by her family, she started her studies in classical guitar at the age of 12. She began her performance career in St. Petersburg and has since played solo, in chamber music ensembles, as well as with the Ensemble of Early Music. She received the first prize at the Vancouver Unplugged competition in 1996, and a solo guitar competition in St-Petersburg. Since moving to Canada in 1994, Galina has continued teaching and developing her solo and ensemble repertoire. After meeting Frank Longay at the New York Guitar Seminar in Mannes, she found the ideas of Suzuki education to be very much in tune with her own approach to music teaching. That meeting inspired her to start Suzuki training, and she has since used the Suzuki method in her teaching. Galina's students are among the RCM Gold Medal, local and provincial festival winners. Additionally, she has been an advocate of classical guitar music in Vancouver and is a founding director of the Vancouver Classical Guitar Society. In addition to running her music studio, she had been the Chair of VCGS for many years and continues to volunteer for the VCGS. 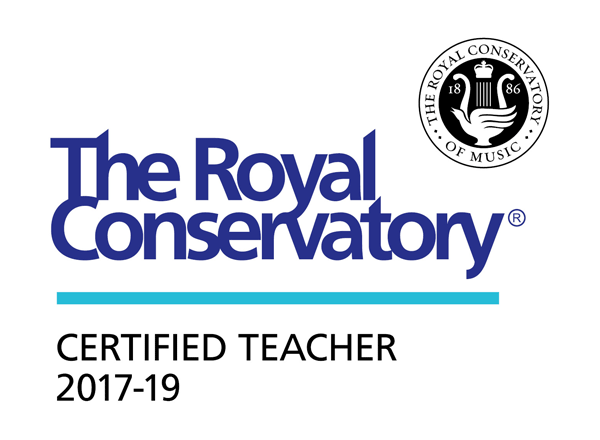 Galina is a Certified Teacher of the Royal Conservatory of Music, as well as a member of Registered Music Teachers Association and the Suzuki Association. Galina's Guitar Studio students regularly perform for the community, as well as participate and win in many festivals and competitions. Many of the students have received RCM Gold Medals and scholarships from BCRMTA for their achievements .